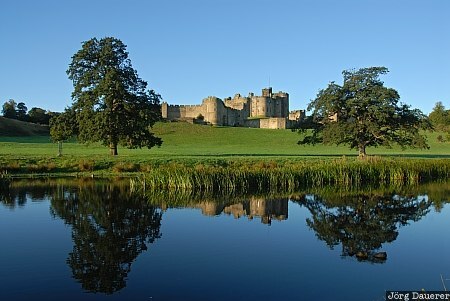 Alnwick castle and its reflexions in the Aln river in soft morning light, Northumberland, United Kingdom. This photo was taken in the morning of a sunny day in September of 2007. This photo was taken with a digital camera.